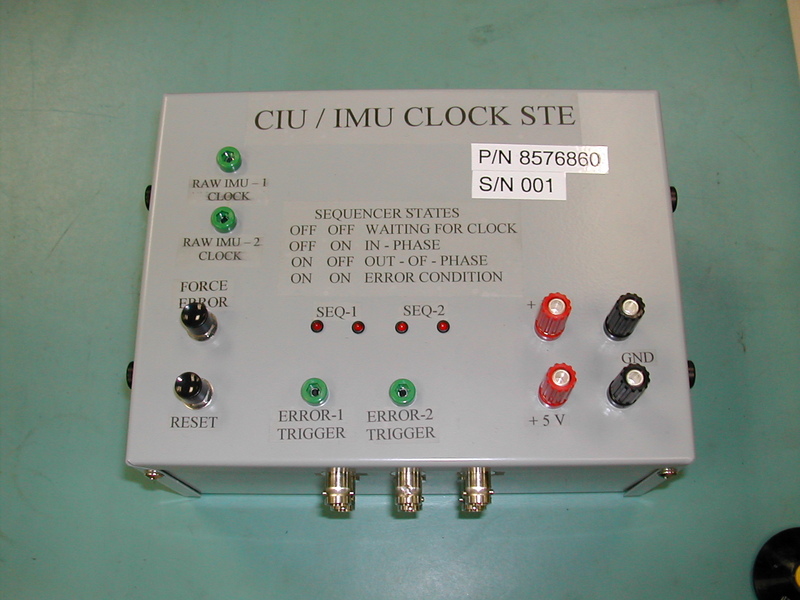 This STE was used to test the high speed clocks output from a spacecraft component in test. The CLOCK STE successfully captured clock irregularities and stopped on error. This STE was able to clear a flight box of a potential unverified failure. 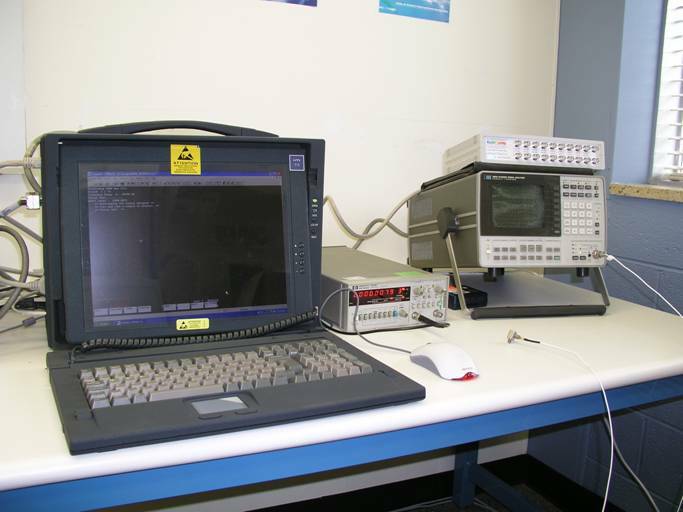 FXO Inc. can upgrade a vintage piece of STE with new components and computers to extend the special test equipment lifetime. Examples are replacing a CP/M operating system computer running PASCAL software with a PC type computer running PASCAL or C code. We can write ATLAS test code for your board or box test equipment. Don’t throw out your vintage test designs. FXO Inc. can upgrade these designs to use the latest technology, while retaining much of the original test software. We’ve demonstrated this upgrade on systems that formerly used HP-85 and Tecmar Computers. 95% of the original software was reused on each project. HP-85 replacement: We used ACME Portable computer, with National Instrument IEEE-488 card controlling HP hardware, running HT BASIC software (converted from HP BASIC). In this same package, we provided for an X-Y plotter replacement. 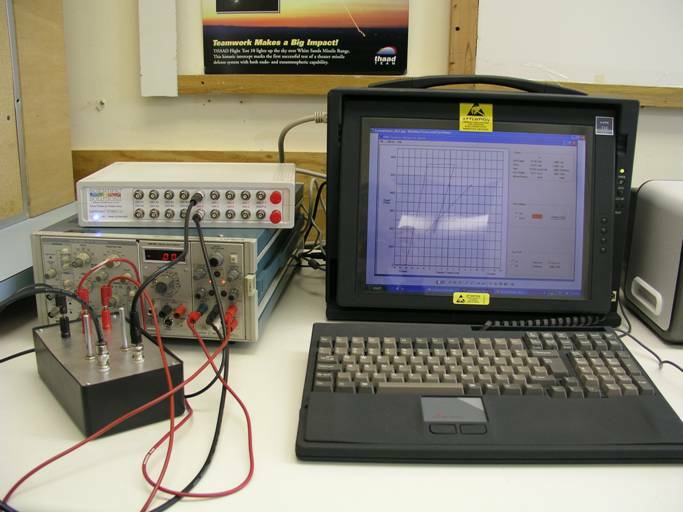 We used the Scientific Solutions LabMaster DMA card to receive the X and Y voltages from a spacecraft component in test. This A/D converter output the X-Y Plot to the computer screen and is printed to an ink jet printer when the capture of the plot is complete. The photo below shows the successful replacement of an HP-85B running HP BASIC with an ACME Computer running HT BASIC. We were able to make better use of the GPIB Interrupts connecting to the HP3561A, network Analyzer, and the HP5316B, Frequency Counter. This use of interrupts allows our test to run 33% faster than without the interrupts. The photo below shows the successful replacement of an obsolete plotter using an ACME Computer running Python. Here, using the Scientific Solutions Labmaster Series DMA card with optional BNC box, we were able to capture the input signals for the X-Axis and Y-Axis (range of +/-10V each) and display it to the computer screen. After the data is taken, a handy Line Tool may be run to compute the slope and X and Y intercepts by just a few mouse clicks. 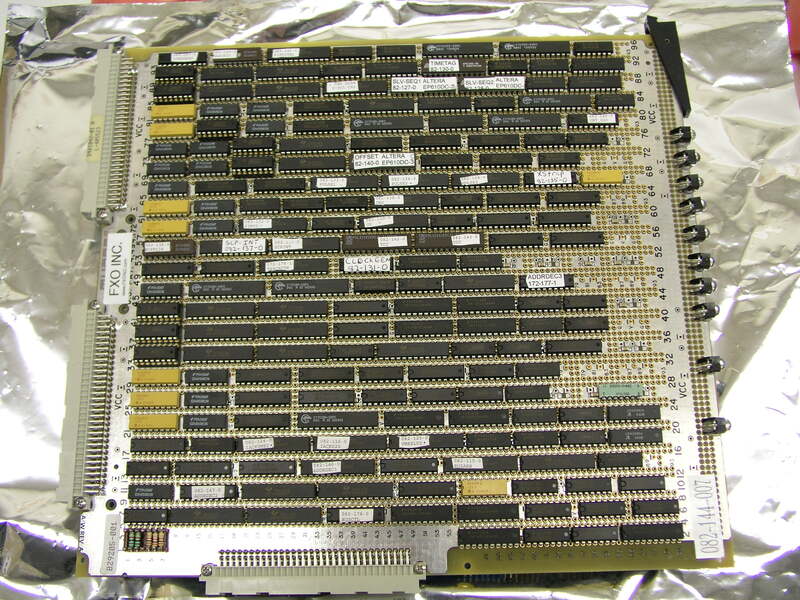 The photo below shows the SCP Interface board built for Lockheed Martin. 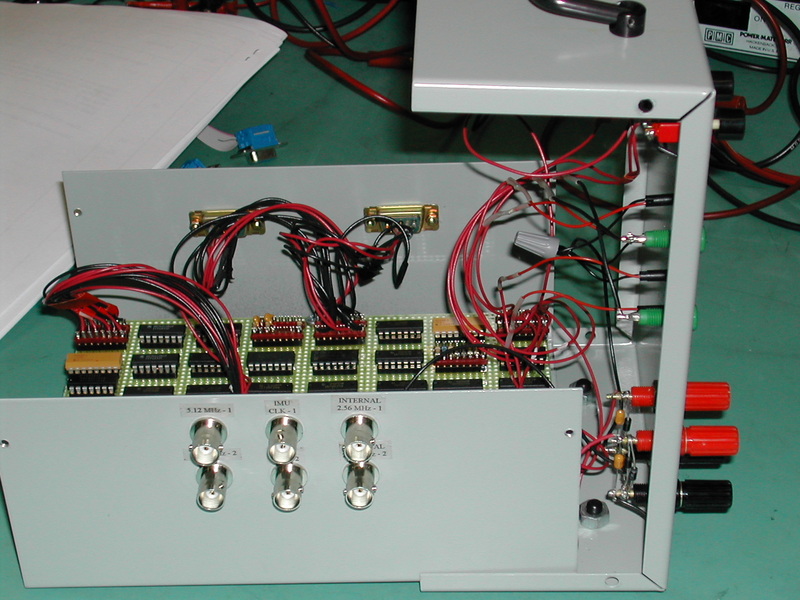 This board was designed by Integral Systems Inc. over 15 years ago. FXO was brought in to build and test two spare boards. The hard part of this job was finding all of the programmable logic and oddball chips used in this design. We were able to find most of the chips. We redesigned using substitute parts that meet the design specifications. This board passed the diagnostic tests after putting it together and is in a standby position. We found many of the parts using Hong Kong Inventory (hkinventory.com). This website allows you to list what parts you need. Vendors (mostly in Asia) reply on-line with the availability of parts and price. You have to use a third party escrow service (IKOBO.COM) that confirm’s your payment before they ship, but it worked out well for us. Only a few parts from India looked like they were pulled off of a board. FXO looks to work with Lockheed Martin, Sunnyvale, CA to program a PROM used on the Space Station Project. FXO will program and verify the parts using its vast stores of DATA I/O Programming equipment and modules. FXO works with Lockheed Martin to maintain two versions of spacecraft simulation hardware. FXO will repair any hardware defects with the VME based simulation hardware and custom designed boards.